Provides an overview of the effects of environmentally and occupationally important metals on the immune system and host defence. The fist ten chapters in the text focus on particular metals or groups of metals, including arsenic, beryllium, cadmium, chromium, lead, mercury, nickel and vanadium. 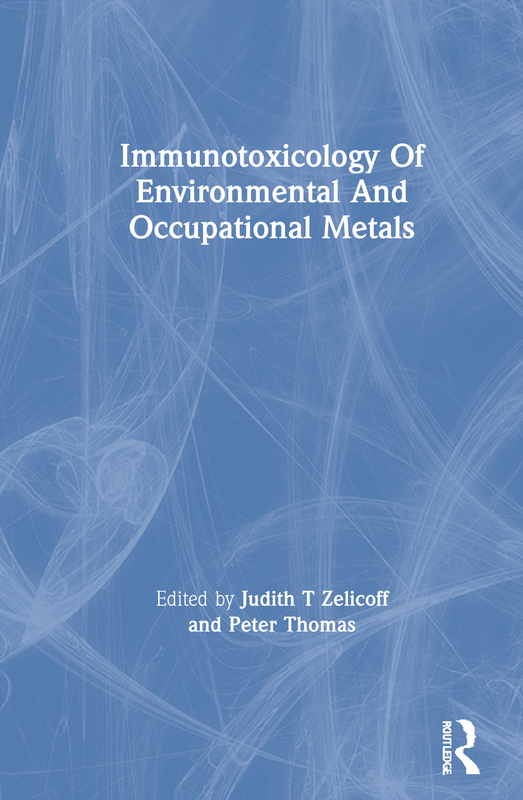 Subsequent chapters examine the immunotoxicological effects of trace metals such as indium and platinum and essential metals such as iron, zinc and copper. The main emphasis is on the in vivo and in vitro effects of these metals on host immune responses in a variety of mammalian species including humans. Each chapter also briefly reviews the history, use, occurrence, biology and toxicology of the metals. 1. Arsenic Leigh Ann Burns 2. Beryllium Lee Newman 3. Cadmium Loren Koller 4. Chromium Darryl Arfsten, Lesa Aylward and Nathan Karch 5. Indium Mark Blazka 6. Lead Michael McCabe 7. Mercury Pierluigi Bigazzi 8. Nickel Ralph Smialowicz 9. Platinum Kathleen Rodgers 10. Vanadium Mitchell Cohen 11. Iron, Zinc and Copper Felix Omila Omara, Pauline Brousseau, Barry Raymond Blakley and Michel Fournier 12. Immunotoxicology Summary tables Mitchell Cohen University of Colorado , USA, Loren Koller, Oregan State University, Darryl Arfsten, Karch and Associates, USA, Lesa Aylward, Karch and Associates, USA, Nathan Karch, Karch and Associates, USA, Mark Blazka, Colgate E. Palmolive, USA, Michael McCabe, Wayne State University, USA, Pierluigi Bigazzi, University of Connecticut Health Centre, USA, Ralph Smialowicz, National Health and Environmental Effects Research Laboratory, Kathleen Rodgers, University of South California, USA, Mitchell Cohen, New York University Medical Centre, USA, Felix Omila Omara, TOXEN, Canada, Pauline Brousseau, Concordia University, Canada, Barry Raymond Blakley, University of Saskatchewan, Canada, Michel Fournier, University of Quebec, Canada.